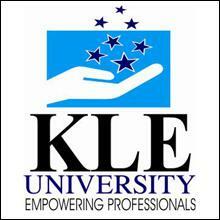 KLE University, situated in Belagavi, Karnataka, is one of the best medical colleges in India. This university has 100-bed Charitable Hospital, one urban Health centre and three Primary Health Centers. Students can enroll in postgraduate and undergraduate medical courses here. The Application form is available online at the official website. Application form and form fees is to be submitted online only. The form for all the courses is same. Once the application form is submitted, it should be printed and send through speed post /courier / registered post to the Registrar, KLE-AIET-2015, KLE university, Nehru Nagar, Belagavi, KARNATAKA - 590010 latest by May 5, 2015 (Tuesday) by 5:00 PM. Download KLEU AIET 2015 application form here! The hall ticket or TAT card can be downloaded from the website from May 6, 2015 (Wednesday) from 8:00 PM onwards. The candidate must be cautious in submitting the application form. He/she should have signed the form at correct place and it should also be signed by the parent/guardian. Recent photograph and signature have to be scan and upload in the form. KLEU AIET 2015 will be conducted on May 9, 2015 (Saturday) from 2:00 PM to 5:00 PM. Those who are giving the exam should reach the center at least 30 minutes in advance. For Undergraduate courses, the test paper will consists of 200 MCQs. Out of this, 50 questions are of each subject – Physics, Chemistry, Botany and Zoology. The medium of paper will be English. The answers have to be marked in Intelligent Character Reader (ICR) Answer Sheet. For each correct answer, one mark will be allotted. However, there is no negative marking for incorrect answer. Questions will be based on 10+2 syllabus which is followed in major 10+2 boards and universities. A merit list will be prepared on the basis of total marks obtained by each candidate and then will be called for the counselling. In case of a tie, the candidate getting higher marks in Biology (Botany and Zoology) will be given preference. If there is again a tie, then those who get more marks in Chemistry will be called first. The counselling will be held in the campus. The counselling procedure and dates will be displayed later on. Next to BDA Complex, Outer Ring Road, Nagarbhavi, II Phase, Bengaluru - 72.